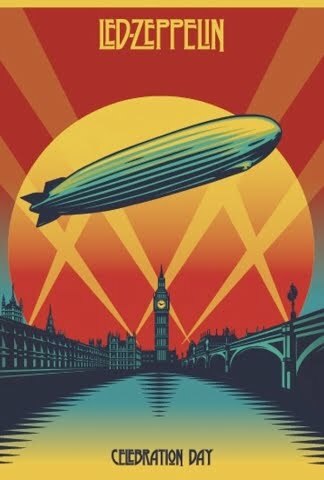 Following news that members of Led Zeppelin will be attending special premiere screenings of their new film, “Celebration Day,” in New York and London, the band has announced two additional events. The movie, which documents the band’s 2007 concert at London’s O2 Arena, will make its U.S. debut at the historic Ziegfeld Theater in New York’s theater district on October 9. Prior to the premiere, founding members John Paul Jones, Jimmy Page and Robert Plant will be joined by Jason Bonham, the son of their late drummer John Bonham, for a press conference at New York’s Museum of Modern Art. “Celebration Day” will then have its U.K. premiere at London’s legendary Hammersmith Apollo on October 12. Jones, Page, and Plant will also be attendance for this special event and a limited number of tickets will be made available to fans for £20. On Tuesday, Zeppelin announced additional premiere screenings for Berlin (October 15) and Tokyo (October 16); locations for the new dates are to be announced. Following the premiere events, “Celebration Day” will see a worldwide theatrical release on 1,500 screens in over 40 territories on October 17 before it goes on sale November 19. Check out a preview clip of “Black Dog” from the DVD here.